The festival schedule might be modified: in case the teacher’s flight is cancelled, in case of his/her illness or injury. The schedule or the teacher of your class might be changed. No refund will be issued in this case. We cannot be held responsible for the loss or theft of your personal belongings. Keep an eye on them. We cannot be held responsible for any injuries, so take good care of yourself and others. Respect the venues, please keep them nice and clean and wear shoes suitable for dance floors. If you lose something in our facilities, we keep it for as long as one month after the event. After that, we will give everything to charity. If you cancel your registration two months prior to the festival, you will get a 75% refund. If you cancel your registration between two and one month prior to the festival, you will get a 50% refund. If you cancel your registration less then one month, no refund is given. We can discuss a discount for a next festival though. In any case you can sell you ticket to someone else within the same level and role (lead/follow). We need te be informed about this sale before the start date of the event. Please send us a mail with all relevant information about the new person. If there is a waiting list in your level and role, you can ask us to resell your ticket. If this works out, you get a 90% refund. We keep 10% for handling costs. Dancing is a social activity in which you hang out and come in contact with other people. It is always important to pay attention to your personal hygiene and how you treat the people around you, so everyone can have a nice time together. While dancing you are inviting people into your personal space and entering other people’s personal space. Be aware of it and treat your dance partners with respect. Be aware of your own body. If you know that you tend to sweat a lot, a change of shirt and a deodorant can make dancing more comfortable for everyone. If you have eaten strongly flavoured food, a mint will help with controlling your breath. While there is always some risk associated with any physical activity, we are committed to preventing injuries before they happen. Unsafe dancing is any movement that puts anyone at an increased risk of physical injury. This includes, but is not limited to, yanking or jerking your partner around or forceful movement when leading or following (risk of shoulder, arm, and upper-back injuries), bending over your partner during a dip when leading (risk of lower back injuries), sudden weight sharing when following (don’t dip yourself), or any lift where both of your partner’s feet go above your knees. 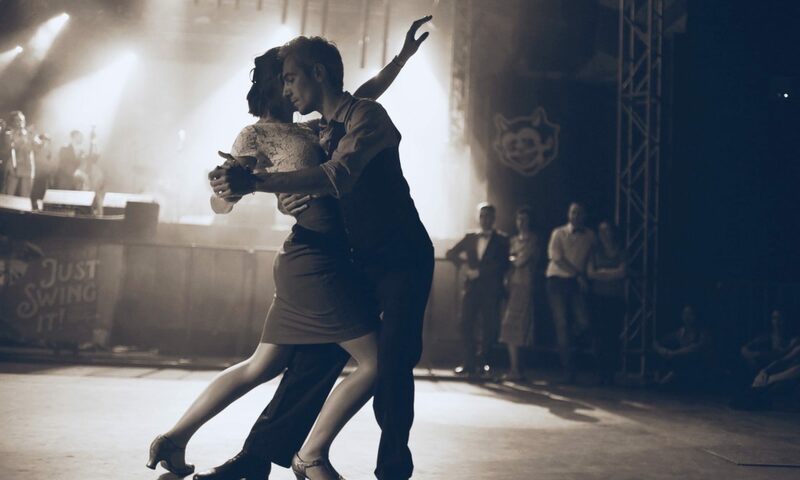 You may be asked to stop your dance if your movement endangers you, your partner, or any other dancers on the social floor. If you are unsure what constitutes unsafe dancing, please ask the organizer or any instructor. If you are being made to feel uncomfortable/uneasy, if you are being harassed or notice that someone else is being harassed, or have any other concerns, please contact any of the organizers straight away. Contact the registration desk volunteer if you need assistance locating a care team member or organizer. A private conversation with a member of the safer spaces team, who will take an anonymised note of the conversation, and discuss some potential options for action with you. If you raise concerns about a breach of the safety rules, we will pass on the note of the conversation to a member of the organizers of the event. Our utmost concern is the safety of all our attendees, and we may choose to take action that could include sending someone to ‘cool off’ or excluding individuals from the event. We will always take into consideration any action that you personally would like to take. We will contact the police if you ask us to, or if there’s an immediate risk to anyone at the event. If we receive reports of predatory behavior, unwanted sexual attention or sexual assault, we may pass on the names of offenders to other organizers to promote safety across the dance scene. At our venues drug use or being under influence of drugs is prohibited. We have a zero tolerance policy on harassment be it racist, sexist, homophobic or transphobic abuse. If the code of conduct is breached we reserve the right to remove the participant from the current and future events.